Where do I begin? Kerri and I go back to our undergrad days at Mizzou. We weren't only in the same photojournalism sequence, but we were also project partners in Advanced Techniques :). We share a love for cups of coffee as big as our head and bottles of wine similarly sized. I was so excited when she asked me to photograph her wedding! I knew their day was going to be equal parts beautiful and fun, and their day was just that! Between a gorgeous woodland ceremony and liters of wine on the dance floor, it couldn't have been more perfect. Thank you for visiting Erin Stubblefield Weddings and Portraiture's blog. 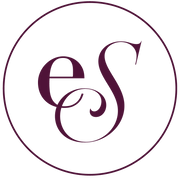 ESWP is an award-winning documentary fine art photography studio, based in Chicago and St. Louis, owned and operated by seasoned photojournalist Erin Stubblefield. Enjoy Kerri and Jeremiah's outdoor Columbia Missouri wedding, and feel free to browse other weddings photographed and curated by ESWP. To inquire about booking with Chicago and St. Louis film photographer, Erin Stubblefield, please use the email form under the ABOUT or INVESTMENT tab.